Spring term is a busy one for important days that help us focus pupils on key skills or learning and raise their profile within school, for example, World Book Day, International Women’s Day and Safer Internet Day. These awareness days are a vital way to improve our pupils lives but the outcomes are something that we really want to keep high in our school’s agenda all year round, not just for a day or week each year. Within a jam-packed curriculum, it can be hard to focus on all the things we would like to in all regularly enough, which is where Wall Art can help you to continue to share the messages linked to these focus days all year round. Reading themed Wall Art is which is the perfect way to encourage reading for pleasure. Wall Art with images of significant female figures could celebrates the plentiful and ground-breaking achievements of women across the world and inspire girls to believe in themselves and strive to reach their full potential. Wall Art focusing on the enrichement the Internet can bring to our lives as well as how to be smart using it could be there as a daily reminder for students. 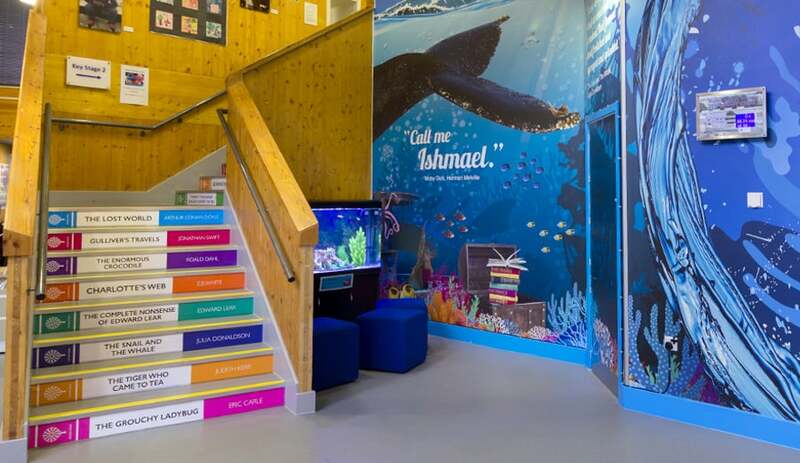 If you would like to find out how we can help you to use Wall Art to ensure that the impact of these focus days learning becomes embedded in the values of your school then please contact Lisa Savage on lisa.savage@promoteyourschool.co.uk or 020 7404 3400.